We are opening the world for future generations through education, nutrition, empowerment and curriculum. Our mission is to open the world for students and their communities in varying regions through technology, clean water, and access to education. 96% of our donations go directly to the school, none of our money is paid to us, the remaining 4% go to overhead costs for the organization. Open World Cause started as a high school legacy project, later grew to be an on campus organization and then a full fledged non-profit. Click here to read the story of Open World. We provide support for students at HIPAfrica in Kenya and Tripur Kinder Academy (TriKa) in Nepal. 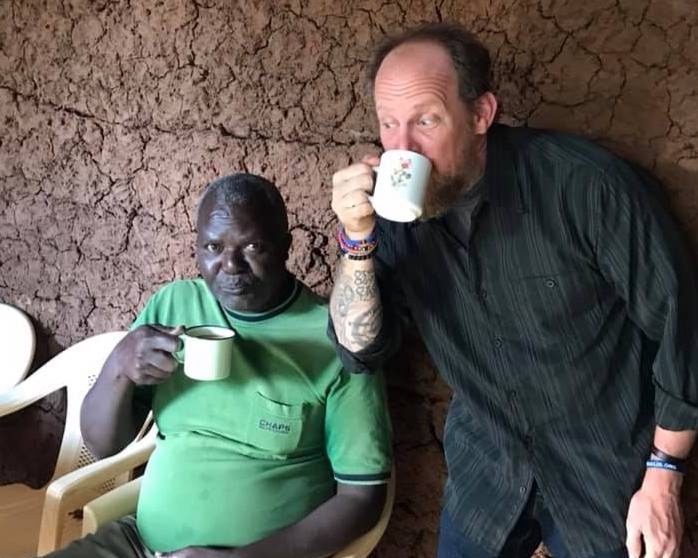 Donations go towards buying clean water filters, providing lunches, funding salaries of qualified teachers in the community, and being responsive to other needs. We work directly with the schools by forming relationships with the staff and getting to know the children. It all started with 2 laptops and internet service in Nepal. Our priority is to provide tools for schools abroad so they can have access to a good education. By connecting with these schools, many teachers and students around the world have benefitted from the relationships built in Nepal and Kenya. For our school in Nepal, TriKa, providing lunch means keeping students enrolled in school. For our teachers, it is important they receive a proper salary. By offering a good salary for teachers at TriKa and HIPAfrica, we can ensure quality teachers for these students. These programs are our top priorities for sustainability and innovation in our communities. Clean water means healthy students. We provide Sawyer water filters and buckets to families at our schools, HIP Africa and TriKa Nepal, to ensure they stay healthy. Unfiltered water is one of the leading causes of illness in these communities, and we work year-round to offer solutions. Open World is proud to be working on a new project called What Will I Become? What Will I Become is researching the likelihood of graduation from university, their needs and wants, and the expectations laid upon them by their society. When you provide a girl with education, doors open for the future of their entire community. We’ve forged numerous partnerships and collaborations with companies, small businesses and schools. Our initiatives would be impossible without them, and you can learn more about some of them right here by clicking on a partner logo below. The best thing that happened was them calling me Mr. Jeremy instead of Mzungu. They would correct each other, actually —He’s not Mzungu, He’s Mr. Jeremy. Our team is made up of 100% volunteers. We each contribute to Open World Cause because we believe in the mission and have built relationships with our friends in communities abroad. Want to get involved? Contact us! We would love to utilize your expertise. There are many ways to get involved! Are you a teacher? Are you a writer? An artist? Have a medical background? Love social media? Want to help raise funds? We tailor ways to get involved to the talents of our volunteers! You can adopt a classroom or start a fundraiser. Watch your students change the lives of other students abroad. We are always looking for people to donate their time and skills. Click the button to find out more. $5 is lunch for a student this month, $19 is clean water for 9 years, $50 is multiple new school uniforms. Every dollar helps. Our mission is to provide assistance to communities in need. Please feel free to contact us with proposals, collaborative opportunities and any questions you may have!